Betzner Falls is a Twin Classic Cascade waterfall measuring 6.3 metres (21 feet) in height and 9 metres (30 feet) in width. 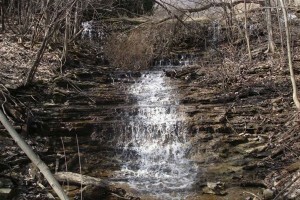 It experiences good water flow for most of the year, and is located on a tributary of the Spring Creek in West Flamborough. 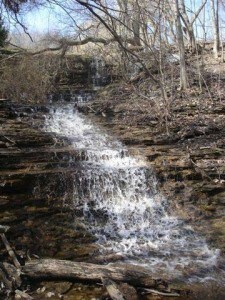 This waterfall was “discovered” by Paul Kearns in autumn 2006. 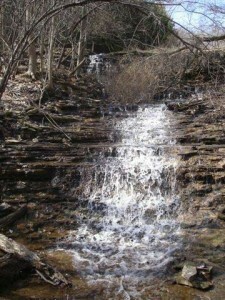 Betzner Falls is located on private property owned by the Betzner family. In fact this large piece of land has been in the family for almost 200 years. 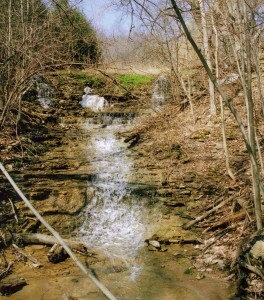 Being on private property, the waterfall is inaccessible unless permission is obtained from the Betzner family located on Hwy 8 in West Flamborough. Courtesy of David Wootton. Click to enlarge.